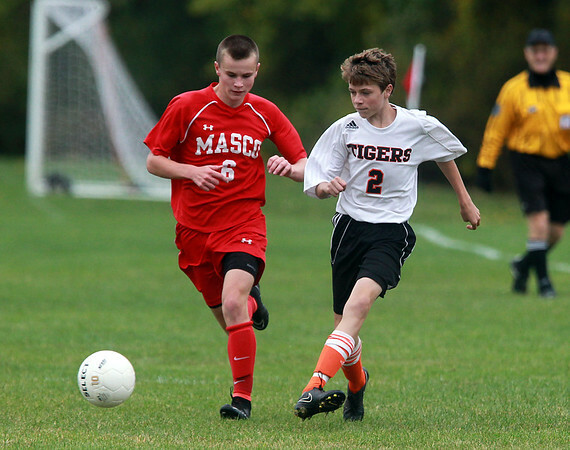 Ipswich midfielder Kellen Waters (2) plays the ball upfield ahead of the pressure from Masco junior Shane Collins (6) on Thursday afternoon. DAVID LE/Staff photo. 10/2/14.